Converter from Hulu videos to all kinds of video formats. 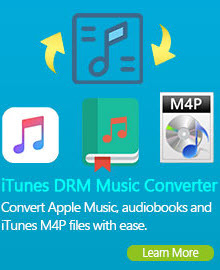 Any Video Converter Freeware- the Free Video Converter - is the most renowned free video converter for converting Hulu files to various video formats, including AVI, MP4, WMV, MKV, MPEG, FLV, SWF, 3GP, DVD, WebM, MP3, etc for iPad, iPod, iPhone, Android, PSP, Tablets. Burn Hulu videos to DVD disc with fast speed and excellent video quality. 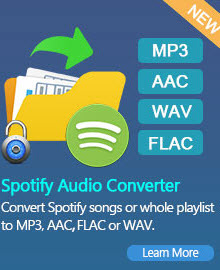 Besides converting hulu videos, Any Video Converter free version also can download FLV, MP4, WebM, 3GP videos in bulk from YouTube, convert YouTube videos to AVI, WMV, M2TS, MKV, MP3, etc and burn YouTube videos to DVD. This free Hulu video converter is also perfect transfer video to PC, laptop, Tablets, Apple iPad, iPod, iPhone, Sony PSP, MP4 players, Zune, HTC, Android, BlackBerry, Nokia, Xbox, Smartphones, etc. Hulu is a website and over-the-top (OTT) subscription service offering ad-supported on demand streaming video of TV shows, movies, webisodes and other new media, trailers, clips, and behind-the-scenes footage from NBC, Fox, ABC, and many other networks and studios. Hulu videos are currently offered only to users in the United States and its overseas territories. Hulu provides video in Flash Video format, including many films and shows that are available in 288p, 360p, 480p, and in some cases, 720 HD. Hulu also provides web syndication services for other websites including AOL, MSN, MySpace, Facebook, Yahoo!, and Comcast's fancast.com. Here’s a step by step guide to downloading videos from Hulu using free software. Hulu Video Downloader is a completely FREE Software which can download Hulu clips, episodes and videos ( hulu.com ) to your PC, Ipod, Zune, PSP, Mobile Phone with one-click. You don't need any players to play flash video just play it on the default media player classic. No extra codecs or players needed. Once you navigate to your desired program in your browser of choice, highlight and copy (Ctrl+C) the page’s URL. If it’s from a supported site, it will appear in HVD’s top field automatically. From there, you select the format for your target file, and click Add. Once the download’s complete, you simply open the resulting video file in your favorite media player. If you want to convert Hulu videos to any other player video formats, you can add the hulu videos to Any Video Converter, choose output video formats in Output Profiles, then click Converter button. Any Video Converter free version will convert hulu videos in a fast speed with high quality. This Free Hulu Video Converter prepares a variety of output formats compatible with iPod, iPhone, iPad, Apple TV, PSP, PS3, Xbox, Zune, BlackBerry, 3GP mobile phone, Xbox, etc. You can choose from AVI, MPEG, H.264/MPEG-4 AVC, MPG, MPEG-1, MPEG-2, MPEG-4, MP4, FLV, DivX, XviD, ASF, 3GP, 3G2 and SWF formats, or just download YouTube videos as original FLV format. This Free Hulu Video Converter supports burning video to CD-R, CD-RW, DVD-RAM, DVD+R, DVD+RW, DVD+R Dual Layer, DVD-R, DVD-RW, DVD-R Dual Layer, random access writes, Blu-ray media, Blu-ray Rewritable media. This Free Hulu Video Converter can batch add video files in different folders easily with a folder selection dialog. Batch convert video files to output profile you specified and auto shutdown after encoding is also available. Note: If you need to add DVD menu and background music and image to your DVD, please go for Any Video Converter Professional version. User interface of Free Hulu Video Converter covers 20 languages including English, Germany, French, Japanese, Simplified Chinese, Traditional Chinese, Arabic, Spanish and Portuguese.